Citec provided modular design of compressor system within weight and space requirements. Costly equipment to be delivered in the Caspian Sea. This was solved by modular design and the customer was thereby able to avoid expensive work offshore. Siemens offered complete Compression Module to Lukoil for the Filanovski project, Caspian Sea. The capacity was 3 x 46 MMScfd gas to be compressed. Citec delivered the design of the modules based on input on the gas turbines (GT), motors and compressor data from Siemens. In addition, scrubbers and heat exchangers were designed together with the required piping, valves and instrumentations. The project lasted through concept and pre-engineering phase. Citec provided the design of the Centrifugal Compression Module of approximately 1 300 tonnes dry weight. The concept included three off gas turbine driven compressors and 2 x electric motor driven LP compressors. We performed complete design including selection of heat exchangers, scrubbers, piping and valves and instrumentation. 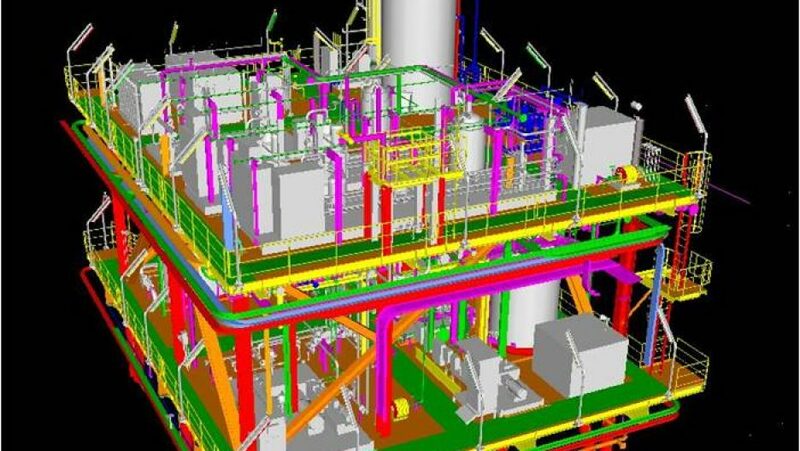 Citec developed simulation of the process, process flow diagrams (PFD) and main equipment list (MEL), P&IDs, 3D general arrangement drawings (GA), material take-off (MTO) for piping and structure, and assisted in cost and weight estimations. The projects tasks were executed by former M7 offshore, a Citec Group company.